Singlehandedly killing over 2000 enemy troops, and shooting a bullet that goes through the enemies sniper scope, and into his eye are just two of the amazing feats carried out by badass marines. Marines are famous for being some of the toughest and most badass soldiers in the world, but some marines accomplish feats so amazing it can be hard to believe it really happened, and isn’t just a scene from a film or part of a novel.This is a list of the 10 most badass marines of all time. Hathcock was a sniper who once fired a shot that went through the scope of the enemies gun and straight into their eye. 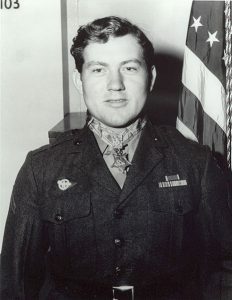 Hathcock became a legend among the US marines for carrying out his missions during the Vietnam war in such an unbelievable way. 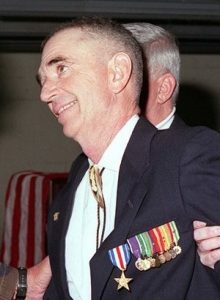 The North Vietnamese Army nicknamed him white feather. The Vietnamese placed a bounty on his head, it was the highest ever placed on a sniper, and he killed every marksmen who came to collect it. Cobra was a skilled Vietnamese sniper, he had already killed several marines, and had been sent to take out Hathcock. Hathcock was hunting cobra in a jungle southwest of Da Nang, he saw a flash of light in the bushes, which he recognised as the light reflecting off the enemies scope, he fired at it, shooting through the enemies scope and into his eye, killing him dead. 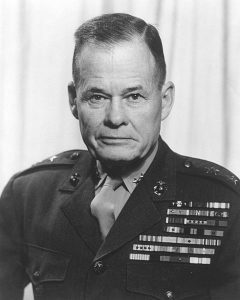 Hathcock is famous for being one of the most badass marines in history. 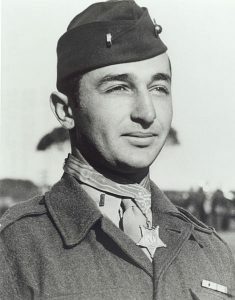 Butler was at one point the most decorated Marine of all time. Smedley was also famous for outing the Business Plot, which was a fascist conspiracy to take over the US. A group of businessmen aimed to take over the United States and appoint Butler as it’s head. Although some news outlets like the New York Times wrote it off as a hoax, most historians now agree it was a real conspiracy but never got close to success. Butler was a marine for 34 years, and took part in many different wars including the Boxer Rebellion, the Banana Wars, and World War I. Butler accepted the Medal of Honour twice, as well as other medals. Mattis is one of the most respected living marines. He joined the marines went he was 18 and worked his way up the ranks. Mattis became known as an intellectual, and once owned a library with over 2000 books. Mattis would carry a copy of the Meditations of Marcus Aurelius on all of his deployments. He’s popular with his men, and known for getting down in the fighting holes with the troops. 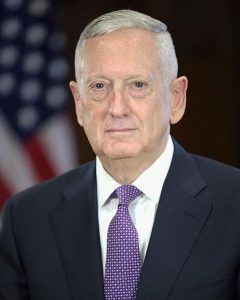 During the war in Iraq Mattis encouraged his men to treat civilians with respect, “Whenever you show anger or disgust toward civilians, it’s a victory for al-Qaeda and other insurgents.” He also told them that every time they wave at or help a civilian, al-Qaeda rolls in it’s grave. His nicknames are Mad Dog, and Warrior Monk because he never married, or had kids. 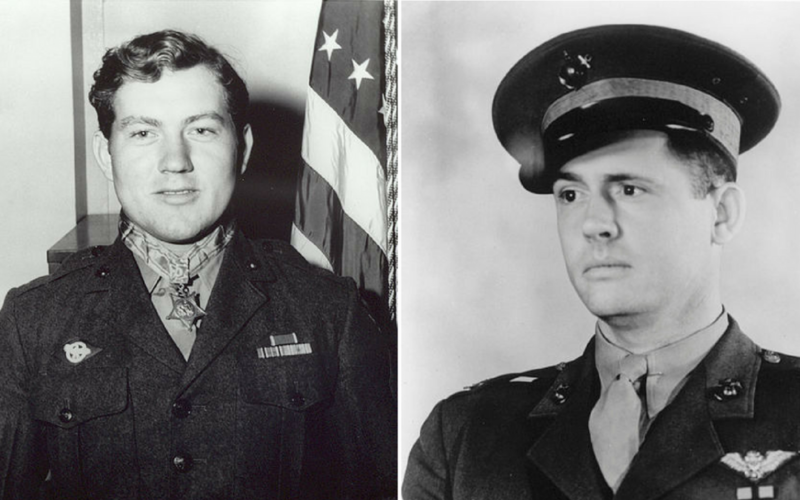 Basilone was the only enlisted Marine to receive both the Medal of Honour, and the Navy Cross during World War Two. 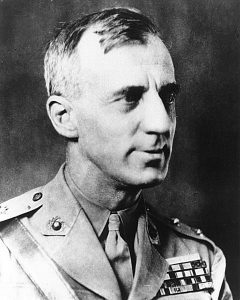 In 1942 he took part in the invasion of Guadalcanal. Him, only two other marines, managed to hold off an entire army of 3,000 Japanese soldiers. Tragically he died on the first day of the invasion of Iwo Jima, but only after single-handedly destroying an enemy blockhouse, and led a marine tank under fire safely through a minefield. Basilone was also a champion boxer. “I continued the trigger bursts until the barrel began to steam. In front of me was a large pile of dead bodies. I ran around the ridge from gun to gun trying to keep each gun firing, but at each emplacement I only found dead Marine gunners. I knew then that I must be all alone.” Mitchell Paige received the medal of Honour for his actions at the Battle of Guadalcanal, when all his fellow marines had died, he was left alone, operating four machine guns at the same time, and stopped an entire Japanese regiment. After reinforcements arrived, he led a successful bayonet charge which drove the Japanese forces back. 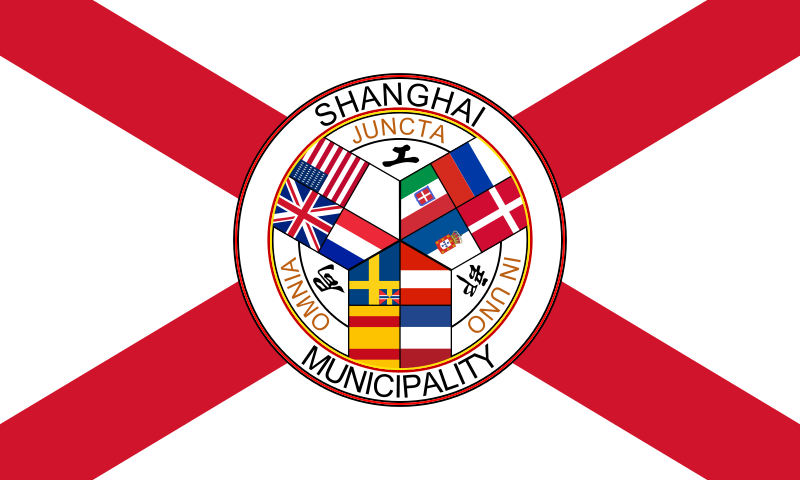 “Get tough, get down in the gutter, win at all costs… I teach what is called ‘Gutter Fighting.’ There’s no fair play, no rules except one: kill or be killed.” Fairbairn was British Royal Marine, and a police officer in Shanghai. He had over 600 street fights, and invented the fighting system used by the police and special forces all over the world. His system was called Defendu, and was a mix of many martial arts like Jujutsu, Boxing, Wrestling, and Savate. He had many great ideas and inventions, including riot police, SWAT, and a type of bullet proof vest. 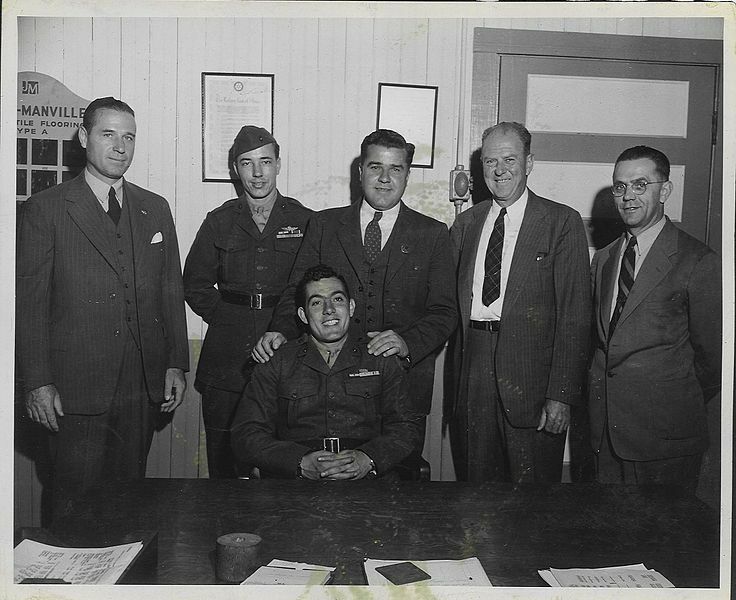 Lucas was on Iwo Jima Island, when a grenade suddenly landed in his trench. He threw himself on the grenade to defend his fellow soldiers, quickly he noticed another grenade next to him. He reached out, and pulled it under his body as well. Both grenades exploded under him, and somehow he survived. Lucas was barely 17 at the time this happened, and became the youngest recipient of the Medal of Honour. He had snuck into the army at the age of 14 and fought to remain in ever since. It’s a miracle he survived, there were hundreds of pieces of shrapnel left in his body. Years later at the age of 31, Lucas almost died once again. He jumped out a plane without a working parachute, he brought two but they were both broken. He hit the ground with nothing to break his fall, and somehow survived. You can’t have a list of badass marines without Colonel John Ripley. 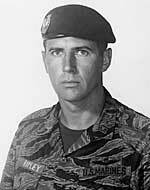 Ripley became a legend among the marines for destroying the Dong Ha bridge. In one of the most gruelling physical feats in military history, Ripley dangled from a bridge for three hours while under heavy enemy fire. He climbed back and forth place bombs under the bridge. He attached 500 pounds of explosives under the bridge, and succeeded in destroying it completely. Destroying the bridge was an important victory as it succeeded in halting a Vietnamese invasion force. “Hammerin’ Hank” was the first aviator to receive the medal of honour during World War Two. He was killed in action while defending Wake Island, and was posthumously awarded the Medal of Honour. 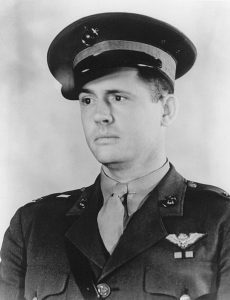 Without backup, Elrod fearlessly attacked 22 enemy planes and managed to take out two of them. On the same day he became the first person to sink a warship with small calibre bombs from a fighter aircraft. It got to the point where all U.S. Aircrafts had been destroyed. He took action and organised the remaining troops into a beach defense unit which stopped multiple Japanese attacks. Elrod unfortunately died while trying to protect two of his men carrying supplies. It’s hard not to agree that Elrod is one of the most badass marines in history.